There is still one month left of Winter, but I already feel like Spring. Outside it’s still cold enough to feel Winter’s edge. But the signs of Spring are showing their strength. Therefore, I decided to give the season a little push into our world and into your homes most of all. 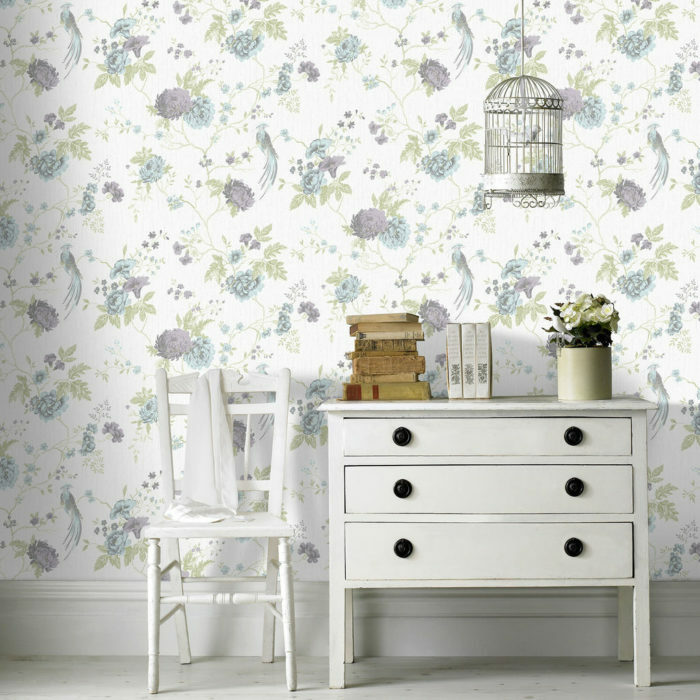 So I came up with today’s article on Floral Wallpaper. Inspired, of course, by Spring in all its beauty and all its bounty. 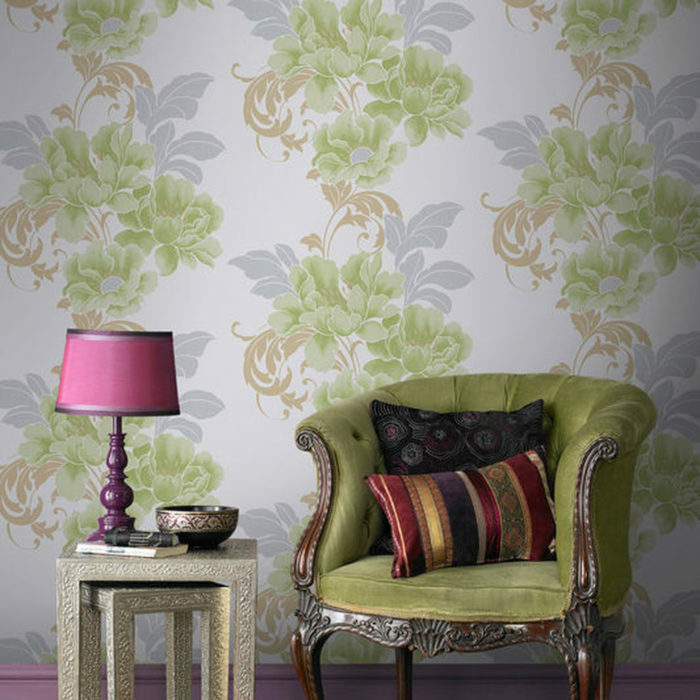 And I am proud to say that we are going to go through the most exquisite examples of wallpaper. And they come in all colors and flowers! 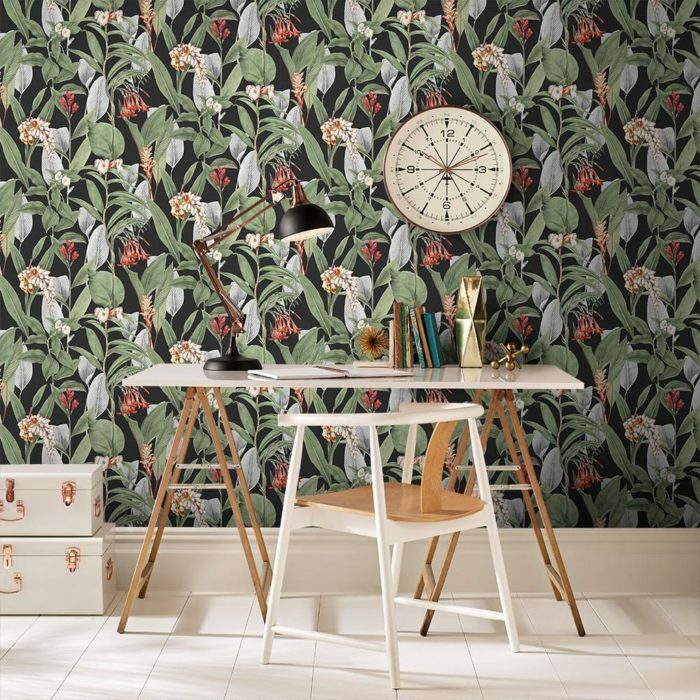 I would like to say, first of all, that I am a great admirer of Graham&Brown and their wonderful wallpaper products. Besides the use of high-quality products, I am a great admirer of their designs and creativity. For me, they have managed to turn what could be considered an old-fashioned and outdated decor into a modern and contemporary trend. This is not my first article regarding their products. 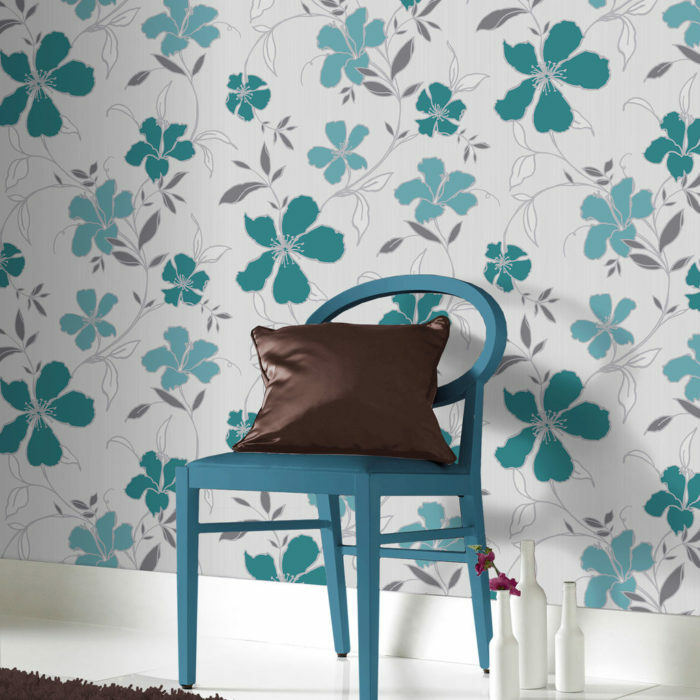 I have also written an article on their wallpapers focusing on the color blue – Blue Wallpaper. And I just adore all the models, designs, shapes, and colors that they use. 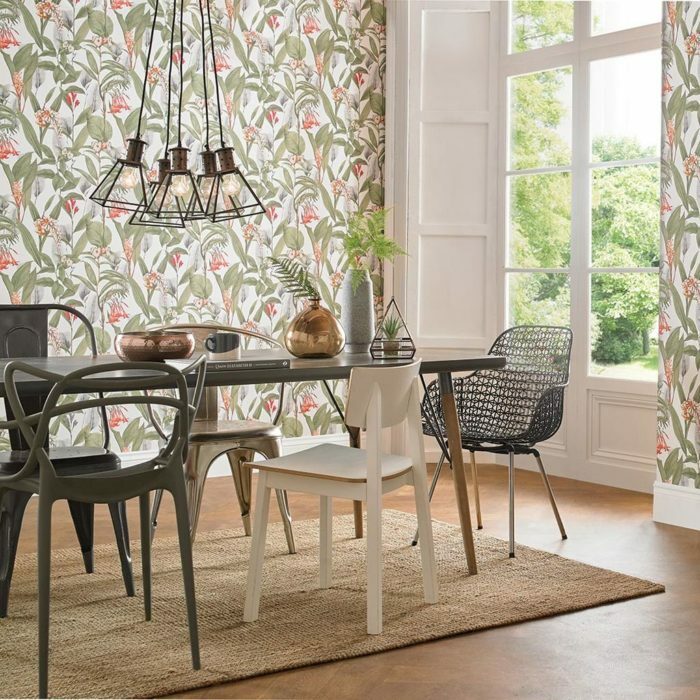 Not to mention the presentation photos, which are very well thought out and presented, in order to focus on the wallpaper and make it be the star of the picture. Another big plus for me regarding their products is the use of bold and daring colors, which in other circumstances might be considered even disturbing for the eye. But they somehow have discovered a way to make any color stand out in just the right way. 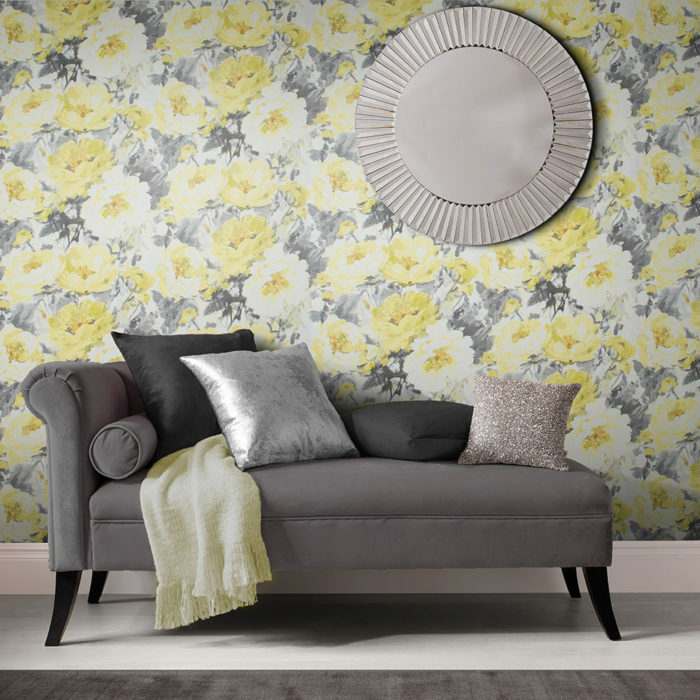 Even from the floral wallpaper in the above pictures, we can see the subtle and yet powerful use of colors such as yellow, red, green, or blue. All of which are gorgeous on their own but more so when combined. 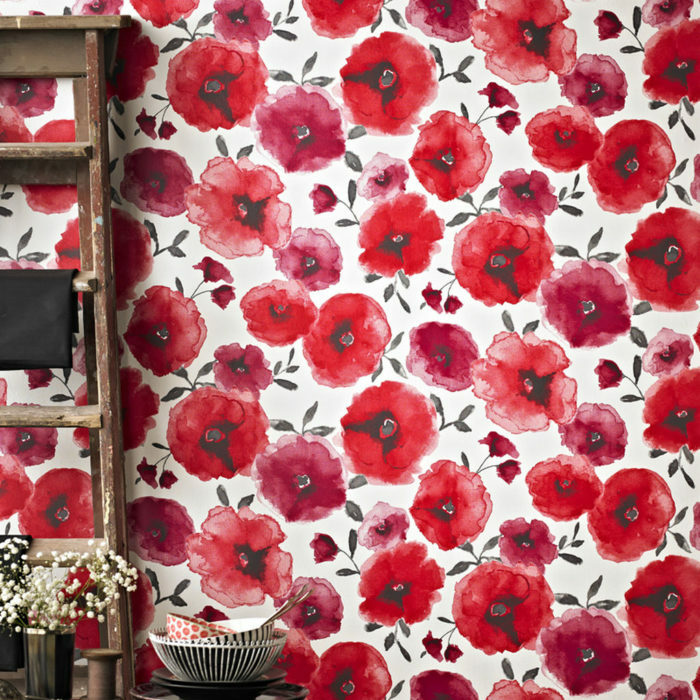 And if you’ve ever wanted to add more color to your home this is one simple and easy way to do it. 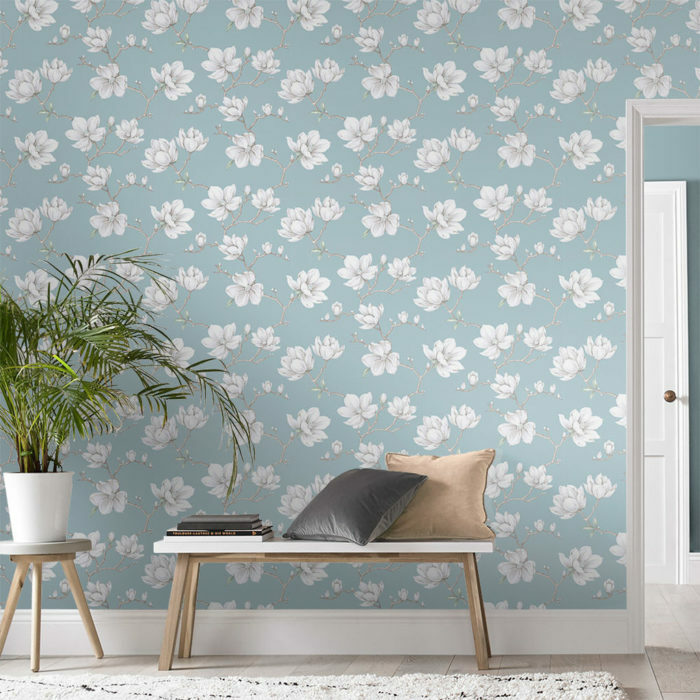 Why Floral Wallpapers? you might ask. Well, I usually get inspired by the very idea of upcoming Spring. It is generally known that this is the season most associated with the birth, bloom, or renew of nature. And this has inspired many people to also make Spring their very own season of new chances, new opportunities, and new ideas. So, of course, that it got to me as well as I end up writing almost every time Spring a new article directly inspired by it. Here is the last one – Spring/Autumn loose dresses. But in today’s article, I wanted us to focus on making a change in our homes. Since it is the place where we spend over 50% of our times and lives. It feels nice to make a change once in a while in order to refresh both it and our perspective of it. So here I am with a quirky and, what I believe to be, a lovely idea of how to freshen up our minds and homes at the same time. This idea is also good for those who are not sure if it will work for them. 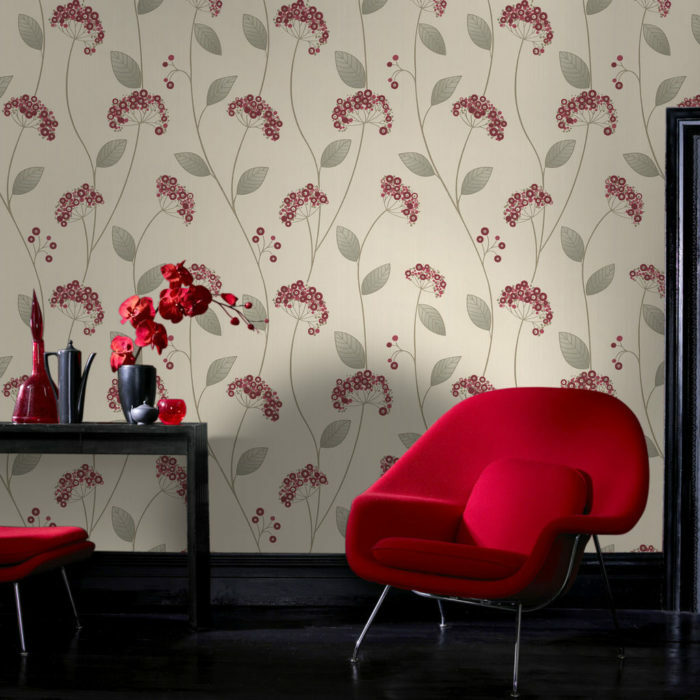 Because with the latest technology used by Graham&Brown, these wallpapers are as easy to tear down as they are to put up. So don’t worry if you think you won’t like it. You can just give it a try. So I hope you like at least one of the choices in today’s article and dare to give it a shot. It may be the change you were looking for in your home. And it may remain permanent!